In my upcoming comic, Persons Reported, the police make an appearance at the climax of the story. In a typically even handed and rational manner for myself, the police in my story are violent, facist pigs. 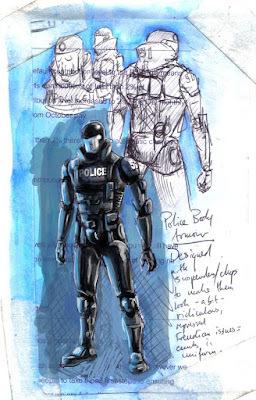 This is their body armour that they use to maintain corwd control.